1. 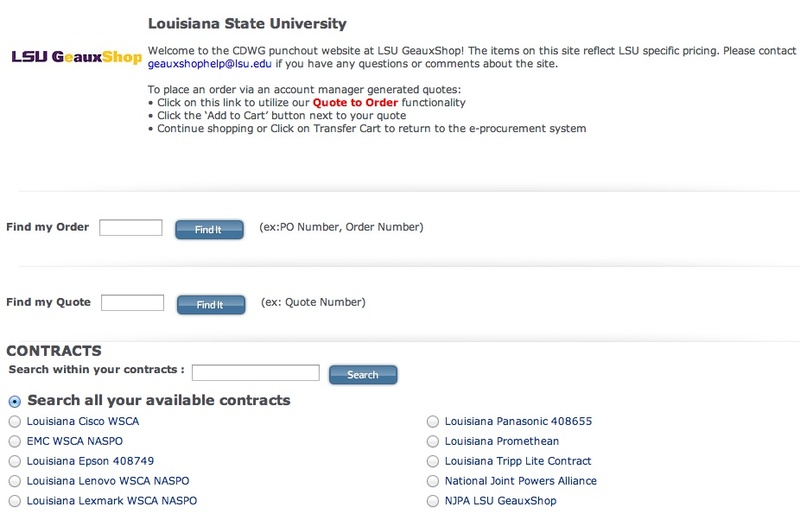 Open CDWG through LSU GeauxShop. 2. Search by PO Number, Order Number, Quote Number or Filter by Contracts. 3. Click Find It or Search.